I’ve created things. Many things. But they still don’t feel like enough. I’m still searching. Searching for the ultimate creation. To reach that point of satisfaction. That place that artists are always seeking, but never quite reach. It’s a daily grind. Of feeling the potential, but not the execution. How do I get there? Just keep going. The finish line isn’t tangible. The finish line is when you stop. So the finish line isn’t something you want. 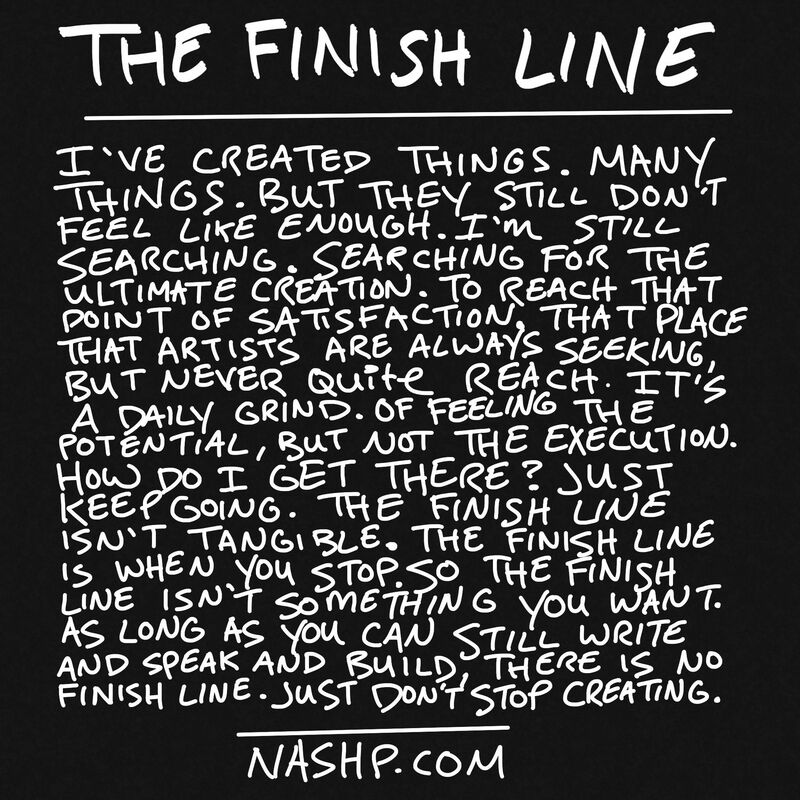 As long as you can still write and speak and build, there is no finish line. Just don’t stop creating.